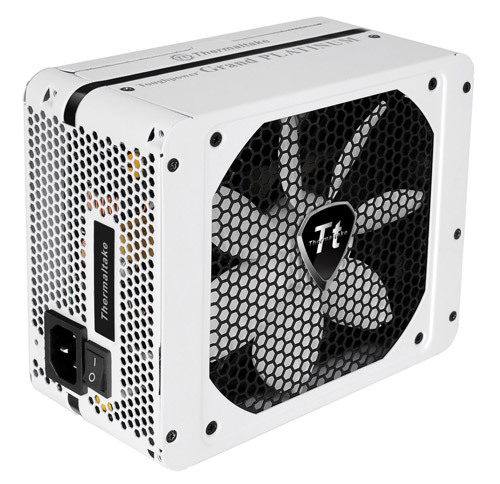 Taipei, Taiwan – September 26, 2012 –Thermaltake, being the industry pioneer brand with expertise in PC chassis, power supply and thermal solution, excited to release the latest addition to our signature power supply series – the Toughpower Grand Platinum700W and 600W. 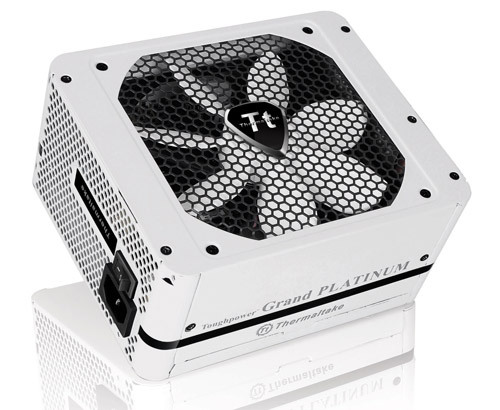 The Toughpower Grand Platinum Snow Edition is certified with 80 PLUS® Platinum that grant up to 94% efficiency, featuring high current massive single +12V rail, modular cable design, patented 14cm flower-shape fan with the integration of FanDelayCool Technology guaranteed system for a smooth and substantial operation. To facilitate the idea of building a green environment, the new Toughpower Grand Platinum not only has incorporated 100% Japanese made capacitors and 3oz copper PCB to lower the temperature for efficiency and reliability. 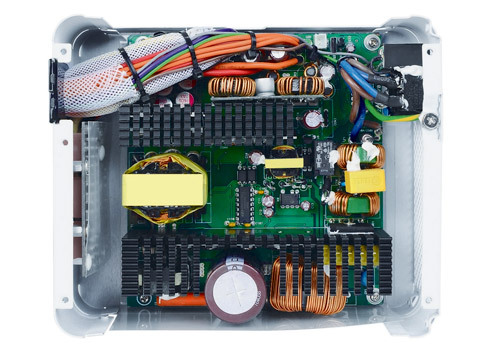 It has a redesigned layout of the main circuitry, an alteration on the primary winding from Double Forward converter to LLC Resonant converter, as well as employed the active clamp ZVS to improve the efficiency rate from 80 PLUS® Gold to 80 PLUS® Platinum for power users to get the most out of the system while saving up to 3% of energy from before. Since the introduction of Toughpower Grand, it has been one of kind PSU on the market that succeed with numerous world prestige design awards from reddot to iF design organization and recommendations from major media around the world base on the unique design and the performance. To uphold the acknowledgements of the series, the Toughpower Grand Platinum continued the honor by receiving the reddot design award 2012 and Taiwan Excellent 2012, proven it worthiness against it competitors in the market. As top systems are driven by powers, the Toughpower Grand Platinum Snow edition promises to deliver 696W at 58A on the 700W and 588W at 49A on the 600W for enthusiasts to unleash the performance of their GPU and CPU.